Beating Dead Meat t-shirt with two-sided print. Available in thick Heavy Cotton shirt and with black and white color options. Limited edition! 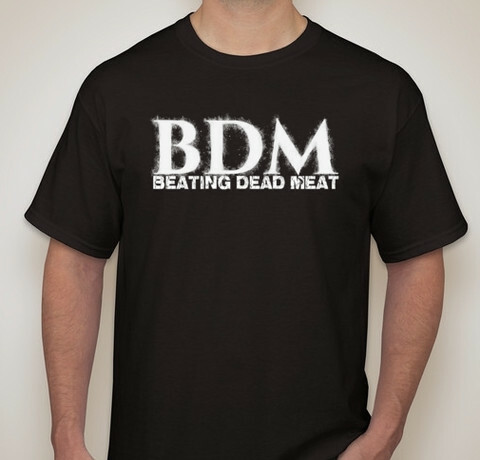 Beating Dead Meat t-shirt with two-sided print. Logo at the front and text "The Few and The Proud" at the back. Available in thick Heavy Cotton shirt and with black and white color options. Limited edition!